Radio is a powerful way to reach audiences. In fact, it’s the top format in mass reach for adults between the ages of 18 and 34, and reaches 93% of Americans. It even reaches people all day long, especially while they’re at work or commuting home, reaching 41% of listeners between 3 p.m. and 7 p.m.. That makes radio advertising a prime way to reach consumers for marketers, but that also makes it a powerful way to boost your recruitment campaign. That’s why today’s post touches on five of the biggest reasons why you should be using radio for recruitment. Radio may be built for mass reach, but it’s also very targeted reach. The station or stations you select will cover specific geographical regions, for example. But each daypart and DJ or host will also tap into specific demographics, including gender, age, education level, interests, and other psychographics. What’s more, it reaches listeners that may not be actively checking job listings, or who may be friends of someone looking for a new position. Research into your target recruitment pool will reveal the characteristics pertinent to developing the right segmentation. 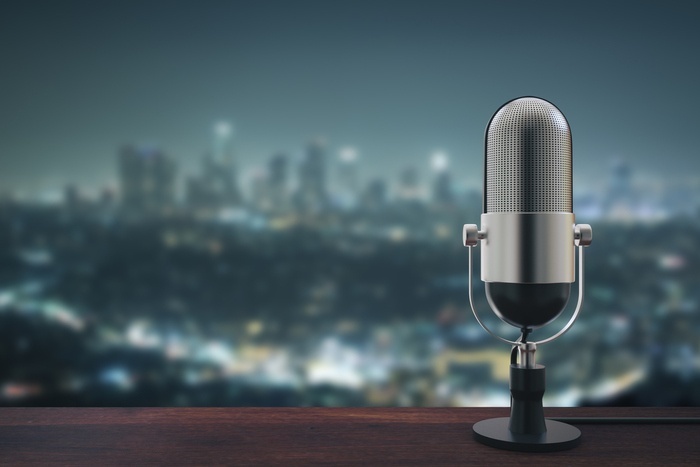 Radio taps into the listener’s imagination more than other formats, and that means you have a lot of options for adding creativity to your message. Where most job listings are dry, you have the opportunity to appeal to the listener’s emotions. Be sure to work with your in-house or media partner’s marketing team to craft your message in a way that helps your ad stand out from the advertising noise. When combined with targeting, that creativity not only helps your recruitment ad stand out in general, it grabs your target audience’s attention and holds it in a way that makes your organization and your ad memorable. After all, people tend to remember what they hear twice as well as what they read, and being interesting enhances that. Radio is the perfect format for leveraging a strong call to action featuring specific instructions that are easy to follow. Marketers use this channel for that very reason, and they reap the benefits: businesses of any size see an average of $6 in return for every $1 spent marketing on the radio. While your goal is recruiting talent, such a strong return on investment speaks to the impact radio can provide by inspiring listeners to take action. In fact, the return on your investment should be much greater, since the value of the position you’re trying to fill is worth so much more. Strong calls to action tend to yield metrics that prove whether the advertising is working as intended. For instance, if your radio ad tells potential hires to fill out a specific form on an online landing page for more information about how to apply for the position, the traffic on that page and the number of submitted forms will indicate the ad’s success. Coordinate with your in-house creative team to determine the best metrics and tools to use to gauge your results. These reasons should make it clear that radio advertising is beneficial to a recruitment campaign plan. When you take advantage of your in-house marketing team to develop strong creative that can capture attention, radio offers the ability to target audiences and inspire action while providing results you can track. Bring in top talent and find the best candidate by including radio as a part of your recruitment campaign’s media mix.